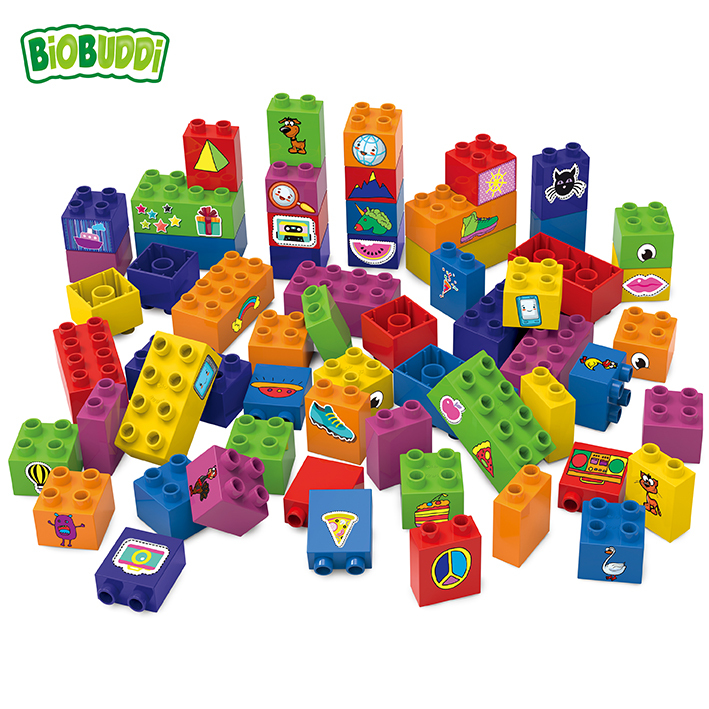 Made in the Netherlands, BiOBUDDi building blocks are a breakthrough for the toy market and the worlds first eco-friendly toy blocks for children. This new biobased toy is derived from the leftovers of sugar cane instead of oil, making them environmentally friendly. Furthermore, packaging, stickers and activity books are also eco-friendly. Stickers and activity books are included in the BiOBUDDi box to help stimulate children’s curiosity to explore and learn through play. The blocks are compatible with building blocks of other brands. 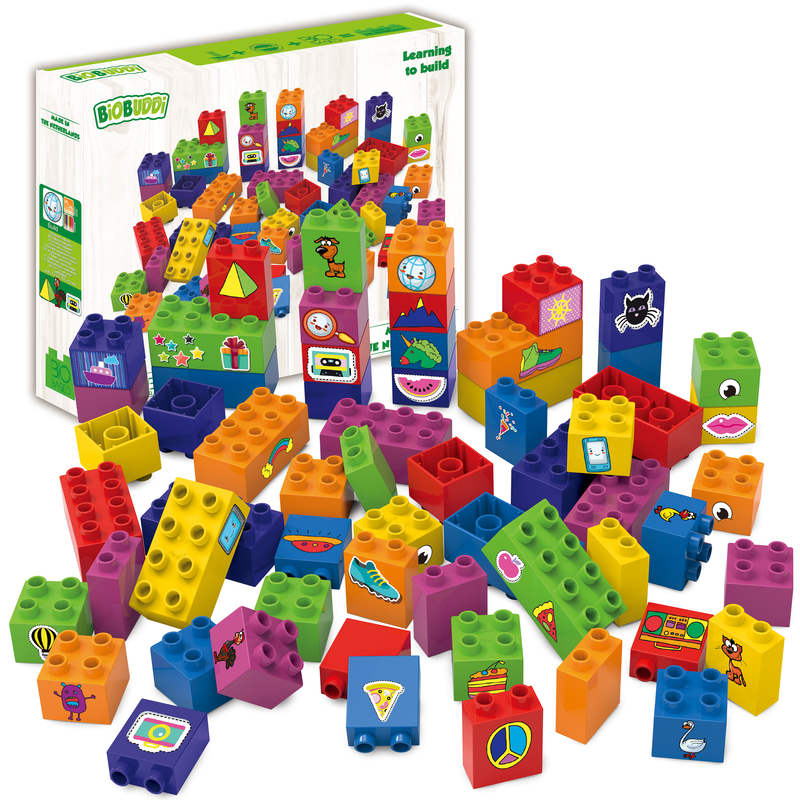 Within the box you will find 60 building blocks and a set of mixed stickers to provide hours of fun. This playset also contains a manual including fun and educational game ideas.